This tutorial is about first Hypertracker setting. 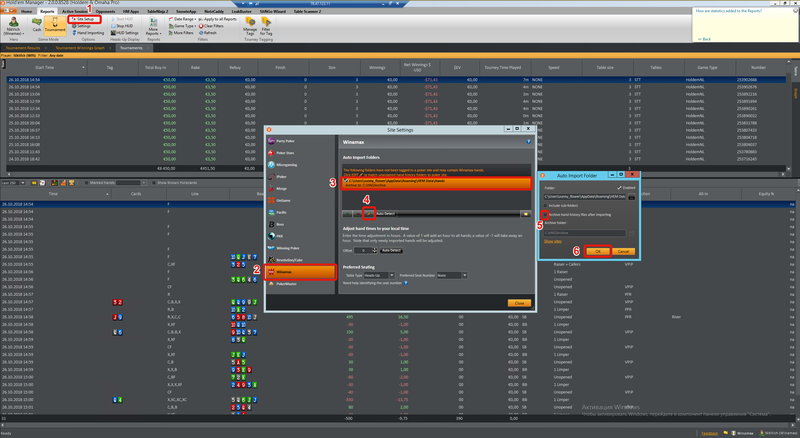 Hypertracker is free software to control your poker results. It works with Pokerstars and Winamax, games Spin&Go and HU SNG of all speeds. Only for PC under Microsoft OS. After downloading the program, unpack the archive, open the Hypertracker folder and run the program. If you’ve made registration on the website or participating in the pool, you may already have an account in the system. Enter your details or register a new account by clicking on the appropriate links. 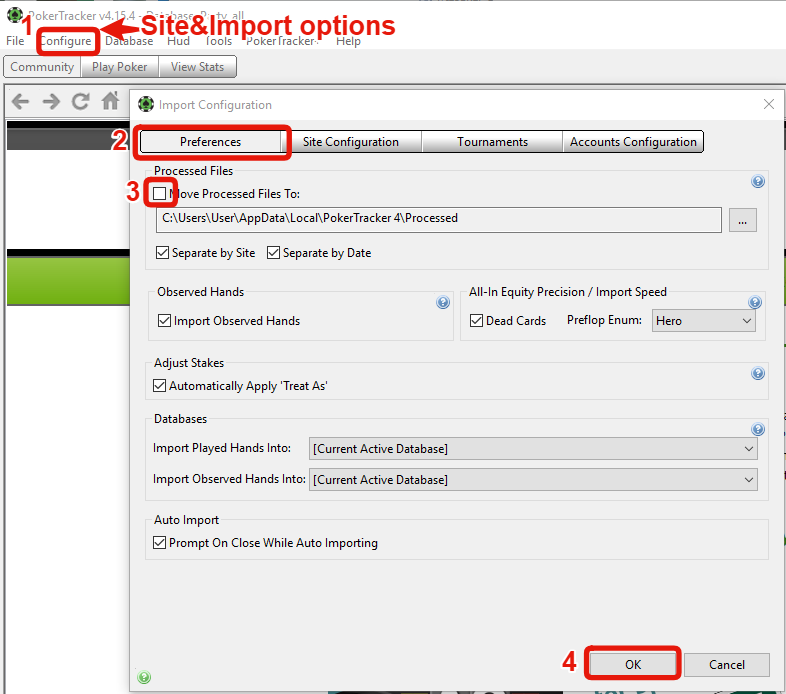 The game results will be displayed on the tab session, but in the beginning let's configure the tracking folders. Go to the settings tab, in the left menu you will see a list of rooms that are recognized by the Hypertracker on your computer. The first thing to do is set up the folders from which the program will take data. These are two folders: hand history and tournament summaries. You can click the autodetect button and if the folders are located along standard paths, the Hypertracker will detect them. Or you can add the path manually. Make sure that the poker room will save the files exactly in the folders you specified. Check the folders you added. In pokerstars client the folders are in settings, playing history. Often cause of problems with tracking is that the player has other trackers installed, like PT4, HM2, H2N. You should check that your own tracker does not transfer hand histories and TS to another folders. If it does, Hypertraker does not have time to get access to them. Disable the transfer function. In the Pokerstars client set the retention period for the folders. For example, 90 days. Make sure you did settings for both paths: hand histories and tournament summaries. Let's go back to the Hypertracker. After setting up the folders, make sure the tracking is enabled. After the transaction, type your screenname in Hypertracker and it’s done. If you play in the pool, our manager can set the screenname for you without sending 1$. You used in one room 2 or more screennames and it was on one computer. In this case you have hidden folders for different screennames. Check folders, find where exactly hh and TS are located. Delete screennames folders which you don’t use.